Thanks to active citizen participation, Suwon now boasts a socially and environmentally sustainable transport system that enjoys the buy-in and accurately reflects the mobility needs of the local community. In fact, Suwon’s achievements in urban mobility have transformed the city from one that was criticized as a city where walking was discouraged and uneasy compared to driving a car into one that has developed a pedestrian environment that is earning almost as much praise as its historic, UNESCO-listed Hwaseong Fortress! 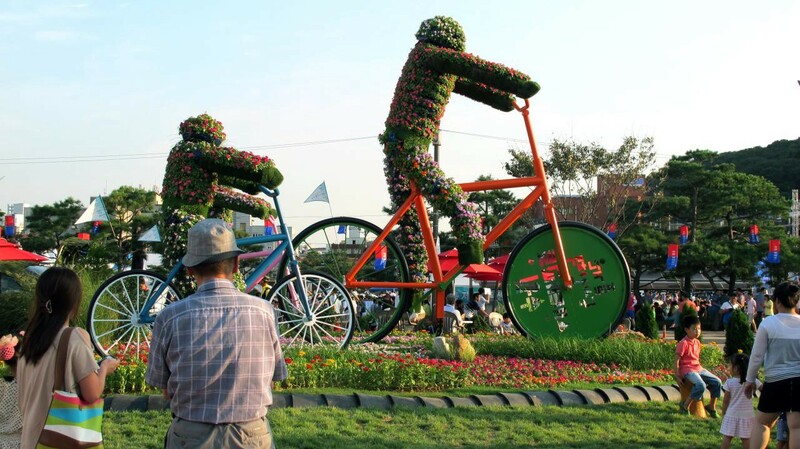 With the launch of its EcoMobility Festival in 2013 and its commitment to reducing carbon emissions by 2030, the City of Suwon demonstrated impressive leadership in tackling congestion and pollution, some of the most common transport-related issues plaguing cities around the world. As part of the initiative, the municipal government took into account the challenges that increased urbanization and motorization have created for all groups of pedestrians, including people with limited mobility. It pioneered the concept of “barrier-free” mobility by seeking to remove obstacles that can hinder the physical accessibility and mobility of residents, including persons with disabilities. Features that enable a barrier-free urban transport system can include wider walkways, smooth walking surfaces, curb cuts and ramps. The concept of EcoMobility helped establish a hierarchy between urban transport modes. Perhaps the most impressive initiative launched during the festival was the monthlong car-free campaign, which led over 4,300 residents of the Haenggung-dong district to leave their vehicles at home and rely instead on cycling and walking. The municipal government invested about $12.1 million in infrastructure works to make the city more walkable, including by creating sidewalks, repaving roads, and renovating public facilities. Parking lots were also temporarily reserved for pedestrians and community oriented activities. The Festival was successful because it relied on multi-stakeholder arrangements and support from city residents through the creation of the ‘Resident Committee for EcoMobility Promotion’ and the ‘Citizen Volunteer Corps.’ The project also demonstrated the potential and need for collaboration across institutions by creating a joint organizing committee to facilitate coordination between the central government, the National Assembly, Suwon City Hall, the Suwon City Council, businesses, and city groups. The Festival significantly changed residents’ perception of what makes a city livable, raising awareness about the importance of more environmentally-friendly transport modes and urban infrastructure. Suwon has sought to build a greener transport system by introducing low-emission streetcars and encouraging citizens to use public transport and bicycles. At a national level, the project was recognized for its positive impact on the urban environment, receiving the 2013 Korean Cityscape Grand Award sponsored by the Korean Ministry of Land, Infrastructure and Transport. For these reasons, Suwon’s success provides an excellent example of how a city can cultivate residents’ engagement to instigate local changes, building on individuals’ abilities and motivations to reduce emissions. This is the kind of engagement that cities must nurture if they want to receive the community support and buy-in they need to implement changes.